With Damian Wayne currently traveling the globe in his solo series Robin: Son Of Batman, there’s a Robin-sized hole in Gotham City that its teen population is eager to fill. But instead of just one new bird-themed hero, DC Comics is introducing an entire gang of them in the new series We Are Robin by writer Lee Bermejo, artists Rob Haynes, Jorge Corona, and Khary Randolph, and colorists Patricia Mulvihill and Emilio Lopez. The first issue established this series as a strong departure from the original Robin concept, showing how an already established group of Robins organizes and mobilizes to bring another member into the fold. That initiation accelerates in this week’s We Are Robin #2, which opens with an intense fight sequence pitting the Robins against an underground society of brainwashed Gothamites. Three artists on the same title may sound like a formula for visual inconsistency, but all three creators have a similar style that makes the book’s look very cohesive. Working from Rob Haynes’ breakdowns has made Jorge Corona’s linework tighter without losing any dynamism, and Khary Randolph’s epilogue art with Emilio Lopez has a similarly exaggerated aesthetic that feels fresh and young. The energetic artwork is a great fit for Bermejo’s quickly paced scripting, and Mulvihill’s coloring brings extra grit that accentuates the urban setting. 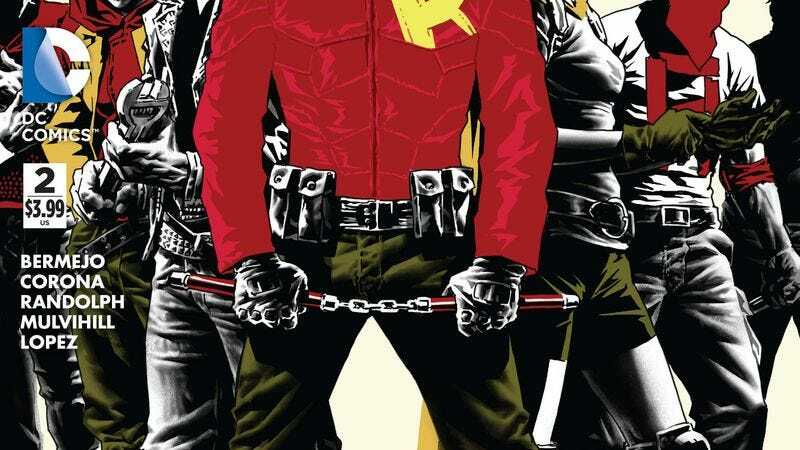 We Are Robin is an intriguing foil to the current Batman status quo, which has the Dark Knight as an officially sanctioned employee of the Gotham City Police Department, and hopefully Bermejo and his art team will explore the dynamic between the lower-class revolutionary Robins and the police’s new superhero in future issues.